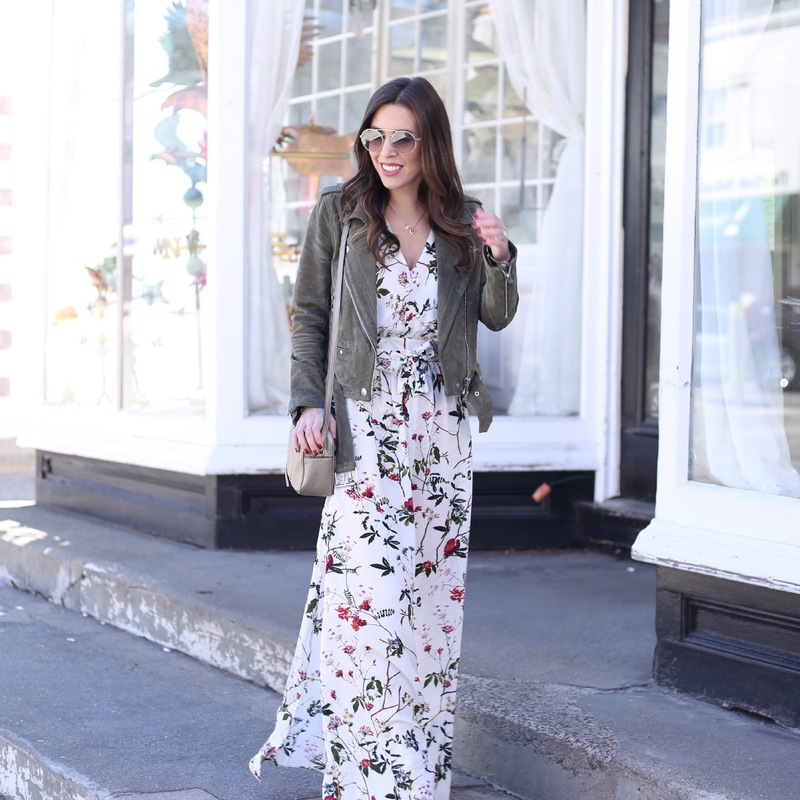 I used to think maxi dresses were only for the summer, but I couldn’t wait to wear this pretty floral dress. It’s still a bit chilly in NY, so I decided to pair it with my favorite suede moto jacket and I loved the way it looked. This is a perfect look for Sunday brunch. I love the pattern of this dress and Romwe has so many pretty options for maxi dresses. I like this dress in particular because I’m only 5’3 and I didn’t have to get it hemmed, and it’s not too long with a pair of flat sandals. When getting a maxi dress I recommend finding one with at least one slit but preferably two. Its much more comfortable and just flows better when you’re moving.